Wowsers! 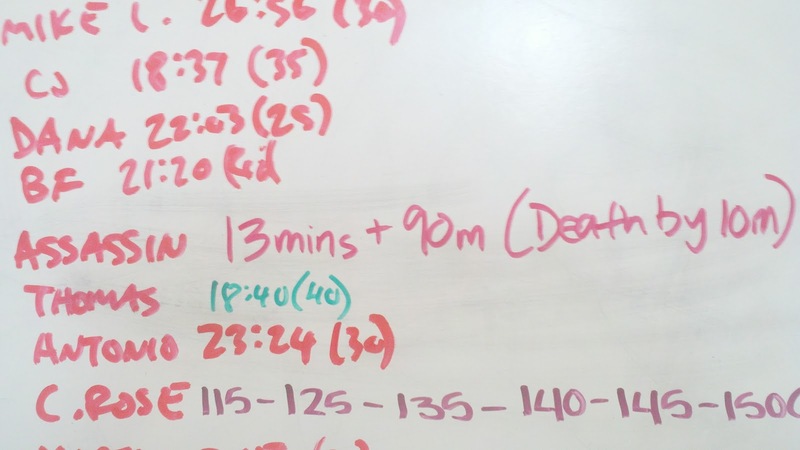 I just checked the last time I did this WOD in March and I PR'd by over 3 rounds, which comes out to 460 meters! I'm happy for the new PR. Yayayayayaya! Oh, by round 8-9 I had already broken form. 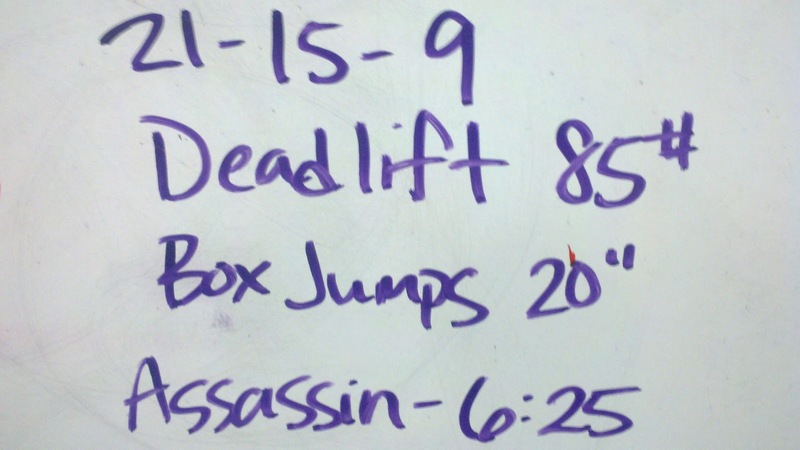 And I realized that I should have done some pose drills before I started the WOD. Next time, for sure. I ended up sticking around the box and cheering on the On-ramp class. 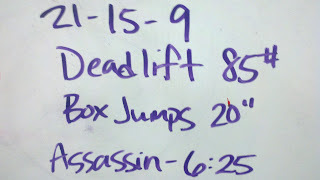 When 13 showed up for the 8:30 and I felt inspired to do another WOD. I really pushed myself on this. I went light on the DL cause I def wanted to keep intensity up and I was trying to be mindful of my hip. When I called time, I had that post WOD body-heartbeat-glow that I haven't felt in a while cause all the WODs I've been doing for the past week have all been 40+ mins, endurance workouts that haven't pushed me to that edge... But today made up for that. I had expressed wanting to do some sub 10mins WODs to Smidty earlier this week.